Best hostel I ve ever stay so far. 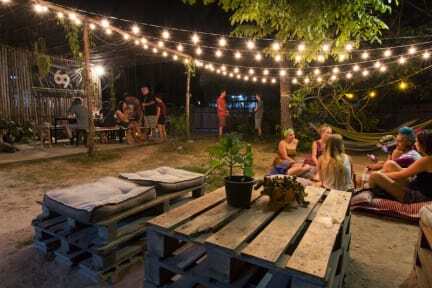 If u want meet new people and have the best time ever this is the hostel that you should book. Everything bis just perfect, they organize free excursions, snorkeling gorup exc.. Clean and comfortable. Perfect position and they have also motorbike to rent, what u want more?? 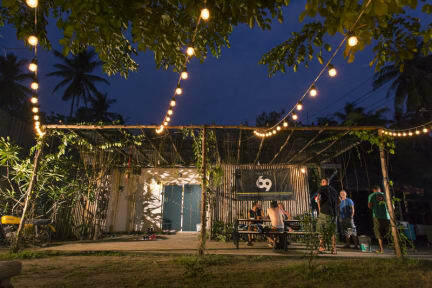 Book this hostel for an unforgettable experience in Koh Tao! Thanks a lot guys!!!!! Brilliant hostel with very nice staff, a tiny bit of a walk to either of the main beaches though. Shouldn't stop you though! Very nice atmosphere, I met a lot of great people there! ( but toilets and room not very well cleaned). I enjoyed my stay and I wish I could go back there!